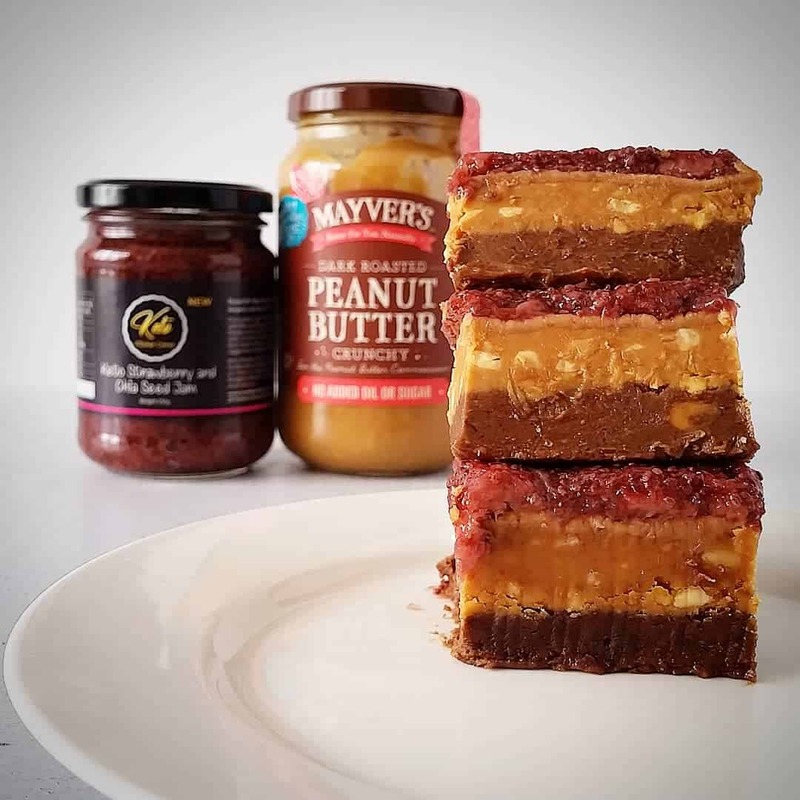 A collaboration between Mayver's with their crunchy peanut butter and our very own sugar free Keto Kitchen Corner's strawberry and chia seed jam. We've built the PBJ tower! 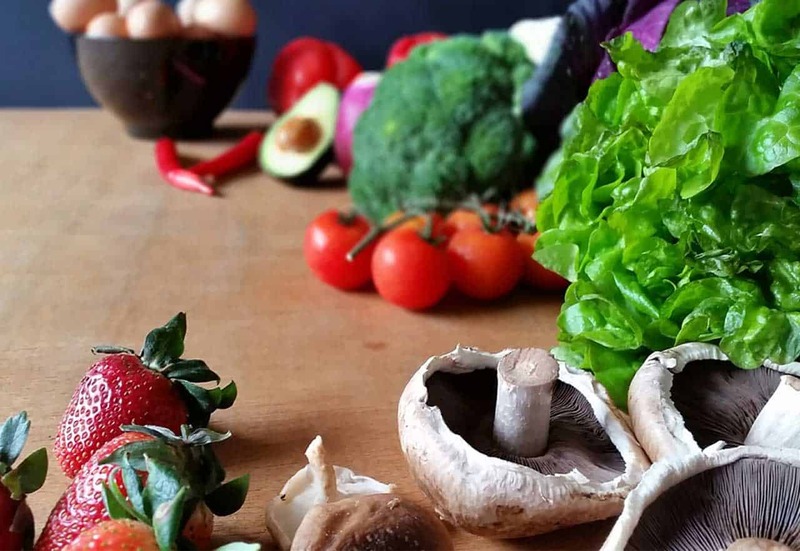 Mix all the ingredients together in a pan and warm over low heat on the stove to melt and soften the ingredients. Line a mini loaf pan 14cm x 7cm with baking paper. Pour the chocolate fudge mix into the pan and put in the freezer to set for 15 minutes or until set. Take the pan out of the freezer and pour the PB fudge mixture on top of the chocolate layer. Put back in the freezer for another 15 minutes or until set. Mix the dissolved gelatin with the jam. Take the pan out of the freezer and layer the jam on top. Place back in the freezer until just set. Take the PBJ fudge out of the freezer and cut into slices. Serve immediately and store the rest in the fridge.